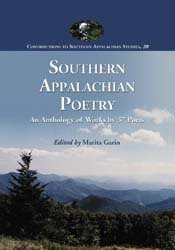 Marita Garin began this anthology of Southern Appalachian Poetry many years ago. What set it apart for me at the time was its incorporation of essays by the poets themselves, bringing to their poetry a voice having little to do with any editorial bias. Then its title was "From Bloodroot to Summit," what I considered a resonant image for what she was trying to do in this gathering of poets. To be honest, I hadn't expected the book to reach the summit, if that's what one wants to call it, of publication, considering the difficulty of placing such a collection. 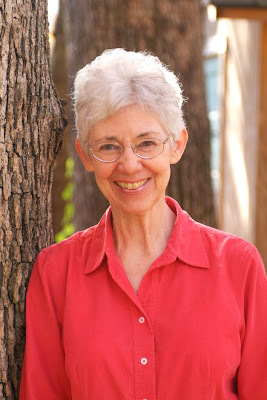 Marita, however, was stubborn, and now, thanks to her determination and hard work, we have what must be considered a definitive collection of poetry from the Southern Appalachian region, from a particular time in the region's literary renaissance. Several of my poems, for example, are from much earlier books. My current mountain voices are a shade darker, starker, and more contemporary in their concerns about environmental destruction and loss. As Marita points out: *The essays were written in the early 1990s, years before publication of the anthology. 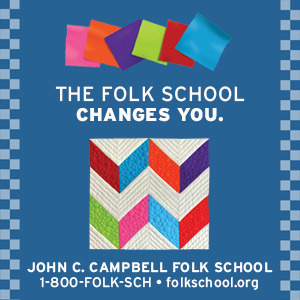 Many of the poets have since moved to locations or jobs other than those to which they refer. (Updates on their publications and awards are available in the Notes on the Poets.) What they chose to write then retains its significance in their insights into and documen-tation of many aspects of Appalachian culture, much of which was, even as they wrote, in flux, eventually to be altered by social forces intruding, bringing inevitable change." A second collection might be called for now, letting the poets respond to those earlier pieces in both essay and recent poems. Here is an excerpt from Marita Garin's Introduction. Following it will be some of her own poems. Too often we forget that those workhorses of anthologies, the editors, are themselves writers of poetry, fiction, and essay. 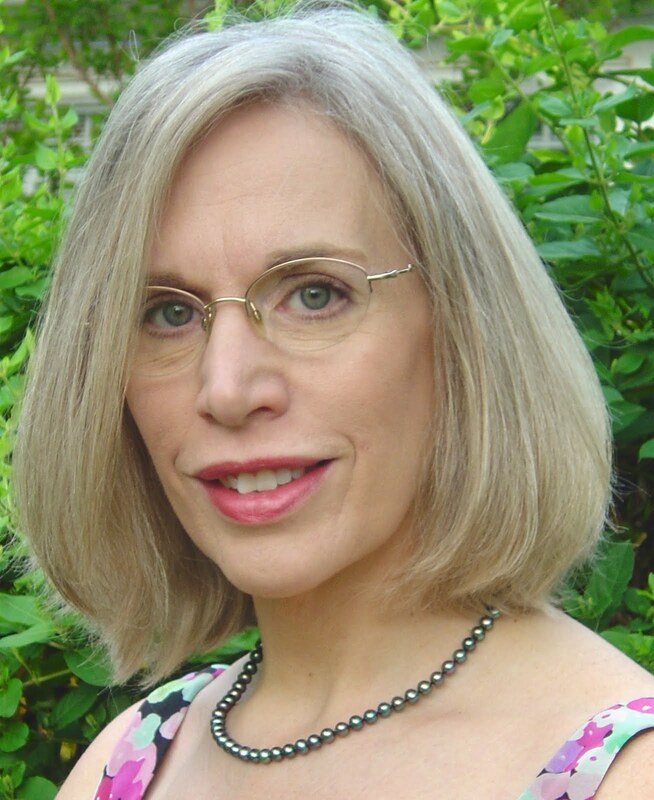 Marita Garin is one of the region's best poets, as you will discover. To describe a region: that is my purpose in bringing these poems together. When I first undertook this project, I was certain the literature of the Southern Appalachians had evolved to the degree that the material would be available. The area was to include north Georgia, western North Carolina, east Tennessee, West Virginia, eastern Kentucky, and a corner of southwest Virginia all of which share an historical and cultural identity apart from the rest of the Appalachian mountains. The poets were to be native-born writers who still live in the region, those who have moved away yet for whom Appalachia still has a claim on their imagination and emotions, and newcomers whose sensibilities have been shaped by the region and who write about it with insight and sensitivity. As poems arrived in my study, a collective voice began to emerge, so compelling in its variety, honesty, and intensity that I needed to let it speak on its own, to tell me what it wanted to say about Appalachia. I trusted what would take shape would be a balanced view of an extremely complex region yielding on close examination human qualities with much deeper roots and finer sensibilities than are usually attributed to it. ...A few generalizations may be helpful for readers not well-acquainted with the area. Incorporated into the poems as naturally as any item in a familiar landscape, poverty has been (and still can be) a fact of life. Intimately known, it has at times been an exhaustion of the land—steep hillside farms that lose their good soil within a few years after the land is cleared—and of the people. The struggle to survive may involve the imposition of external regulations concerning land use and mineral rights or dealing with welfare and black lung disease benefits, coal mine owners, unions, and a volatile coal economy; or it can be a more personal conflict with neighbors or kinfolks (as in the notorious feuds of the past). Another way to talk about poverty in Appalachia is to mention the historic exploitation of natural resources by timber and coal interests and also of the people—their lifestyle, values, crafts, and music—by outsiders that can leave them feeling the poorer—vulnerable and defenseless. ...Isolation has been unmistakable in the region. Given the difficult terrain, enormous finances are needed to build roads and railroads. Until recently, these often did not exist for areas that could not yield an economic (or political) return for the investment. Isolation was a truth about early pioneer life all over the country, but in Appalachia it persisted through much of the 20th century and has shaped the inhabitants’ sense of self... .
...[This] identity comes from a deep sense of belonging to the land, such an intimate alliance that it is felt to be an extension of self, a bond that may persist long after one leaves the region. That sense of origin exerts a primal pull with all the power of the natural imagery in many of the poems. Family is another deeply rooted value in mountain life. Kinfolks, ancestors, one’simmediate family--all contribute to who one is, but links with the past are especially strong. At times, past and family, along with the land, are inextricable in their grip on the individual and result in conflict—feelings of grief or disloyalty—when choices are made to discard the old ways or to sell land that has been in the family for generations. Another characteristic of the region...is that time flows differently here. That dreamy blue haze off in the distance where ridge upon mountain ridge becomes an endless ocean stretching to the horizon may account for a charged effect on mind and body, literally drawing the senses beyond physical limits. Marita concludes her essay by pointing out that "Self-revelation is well-suited to poetry, given the intensity, inner musical demands, focus, and brevity of the form. Certainly the act of centering one’s consciousness invites any writer to work in areas beneath surface realities in a never-ending effort to discover truths. If life is to be regarded as an initiation into the higher mysteries of selfhood, then Appalachia might well be seen as one of its difficult testing grounds. In “Remembering Wind Mountain at Sunset” Chappell says, “Here is the place where pain is born." There is always, though, the "driving need to sing the pain, to sing through the pain, and to let the singing become an expression of pain transformed into something that rises above the hardship and eases it, at least for awhile. "While working on this project, I was seriously questioned as to whether a truly regional literature is possible today given the mobility of the American population and the enormous technological changes reaching into every home and affecting life in even the most out-of-the-way places.
" I strongly believe regional literature is possible for Appalachia because Appalachia still exists in the mind, memory, imagination, and even the life of its writers in very powerful ways." No matter how hard we resist labels, we carry within us an interior landscape that defines us, a landscape that sustains and moves us to song and story-telling. Here then, are some of Marita's own poems. "A Yard Near Elizabethton, Tennessee"
"From a Ridge in Eastern Kentucky"
the living beside a grave. "Taken Near the Jocko River, Montana – 1932"
has stopped, they will be here forever.